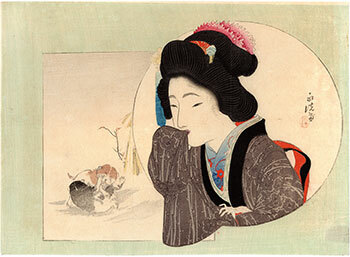 Kind kuchi-e (口絵) woodblock print depicting a young woman who raises her sleeve to her lips amused by two puppies playing on the snow. 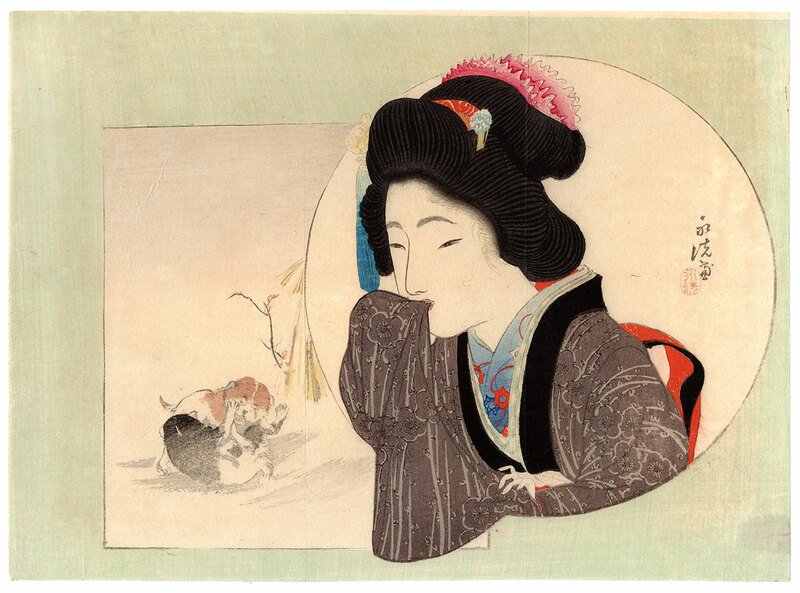 The work is taken from the famous literary magazine Bungei Kurabu (文芸倶楽部) and was made in 1904 by the artist Tomioka Eisen (富岡永洗) as an illustration of the novel "A Snowy Morning" (雪の朝). 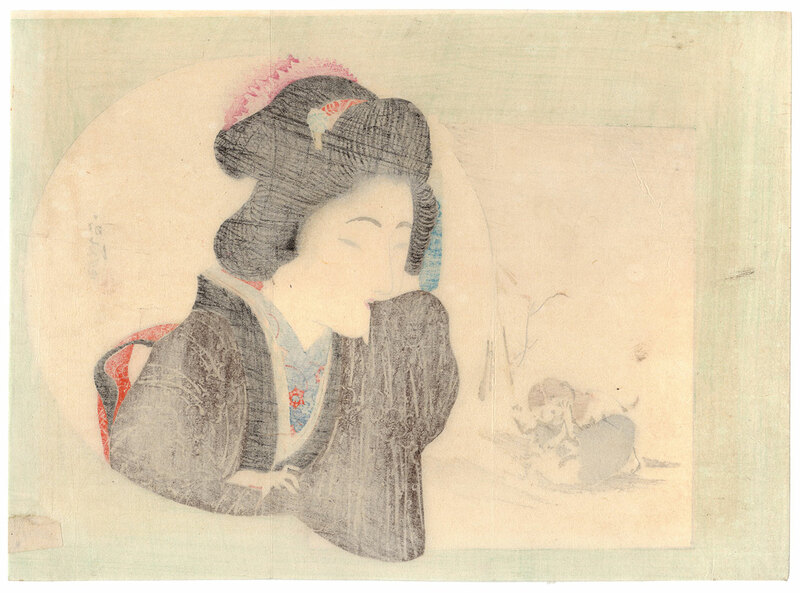 Tomioka Eisen (1864 - 1905), a pupil of the famous Kobayashi Eitaku (小林永濯), began working as a freelance artist when he was still a draughtsman in the imperial army. After the disappearance of his master, he devoted himself entirely to his artistic career and became a very appreciated and well-paid magazine illustrator. He died only forty-one years old, when the kuchi-e movement was in full bloom. 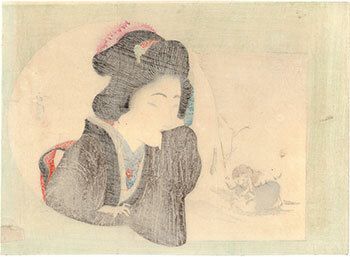 The print on Japanese washi paper (和紙), produced by the Hakubunkan (博文館) publishing house, despite the right patina of the time and a small antique restoration on the back is in very good general condition.